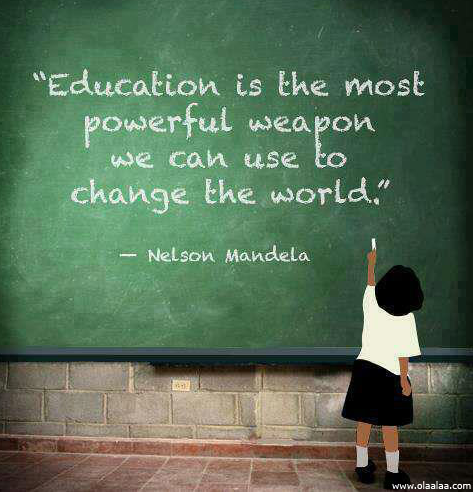 Our education is much more powerful than we may realize. It is the ticket that allows us to open the doors of opportunities and make changes in our lives and the lives of those around us. This beautiful quote from Nelson Mandela helps us remember the power of our education.